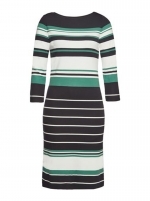 The ultimate flattering dress to suit everybody, the Efiana by Hugo Boss is crafted from Italian fabric with a beautiful drape. 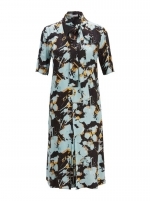 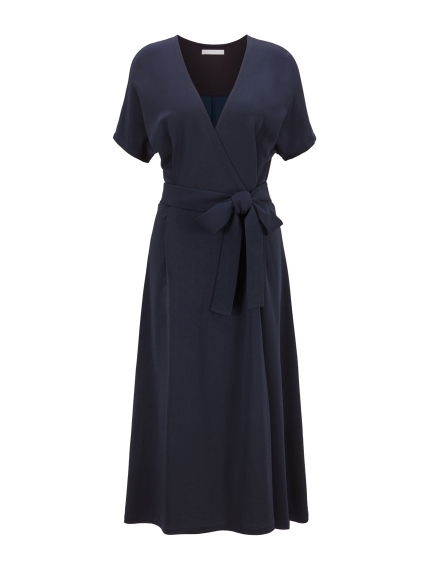 Styled with short sleeves and a deep v neckline, this dress features a wrap front with hidden buttons for an easy and secure closure. 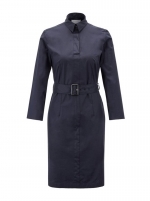 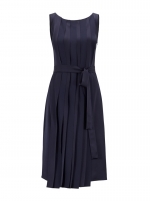 A voluminous tie belt accentuates the waist for a feminine silhouette.